Perseverance of the Saints is a doctrine which states that the saints (those whom God has saved) will remain in God’s hand until they are glorified and brought to abide with him in heaven. Romans 8:28-39 makes it clear that when a person truly has been regenerated by God, he will remain in God’s stead. The work of sanctification which God has brought about in his elect will continue until it reaches its fulfillment in eternal life (Phil. 1:6). Christ assures the elect that he will not lose them and that they will be glorified at the “last day” (John 6:39). The Calvinist stands upon the Word of God and trusts in Christ’s promise that he will perfectly fulfill the will of the Father in saving all the elect. 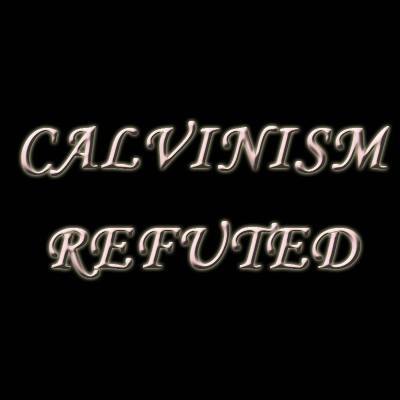 The above statements were taken from the following source: http://www.reformed.org/calvinism/ It is understood that not all Calvinists would agree completely with each of their statements. Here Calvinism states that it is impossible to lose one’s salvation. They use Romans 8:28- 39 as proof but if you read that passage, you will see that it has nothing to do with the inability to lose one’s salvation. The context shows that nothing in God’s creation will be able to separate us from God’s love. Salvation is not even mentioned. God’s love does not force us to stay in the Kingdom. However, there is nothing in all of creation that can stop His love. That is the point Paul was trying to make. Calvinism says that God saves us and He also keeps us because we had no part in our salvation. If it was all in God’s power, then I would agree. However, God gave us a free-will and we can reject God if we choose. The Bible is very clear that it is possible to lose one’s salvation and every Christian should be aware of that possibility. Heb 10:26 – 31 For if we sin willfully after that we have received the knowledge of the truth, there remaineth no more sacrifice for sins, But a certain fearful looking for of judgment and fiery indignation, which shall devour the adversaries. He that despised Moses’ law died without mercy under two or three witnesses: Of how much sorer punishment, suppose ye, shall he be thought worthy, who hath trodden under foot the Son of God, and hath counted the blood of the covenant, wherewith he was sanctified, an unholy thing, and hath done despite unto the Spirit of grace? For we know him that hath said, Vengeance belongeth unto me, I will recompense, saith the Lord. And again, The Lord shall judge his people. It is a fearful thing to fall into the hands of the living God. How someone can believe, “once saved always saved”  after reading these verses truly baffles the mind. These verses are so extremely clear on this point that a Calvinist would have to do linguistic summersaults to explain that it is not saying what it is saying. By the fact that these verses are talking about someone that was “sanctified” by the “blood of the covenant,” even the most unlearned Christian would know it is talking about someone that is born-again. Calvinism says it is not talking about Christians here. Calvinism comes up with its own beliefs then tries to find Scripture to agree with it. It is possible to commit an act in one’s heart so heinous that no sacrifice can help, not even Jesus on the cross! What the act is will be explained in a moment. We only need to see that such a thing can happen according to this Scripture which is enough to completely shatter the concept of “Perseverance of the Saints,” a.k.a. “Once Saved Always Saved” and “Unconditional Eternal Security. But there are more Scriptures proving it is possible. Heb 6:4 – 6 For it is impossible for those who were once enlightened , and have tasted of the heavenly gift , and were made partakers of the Holy Ghost , And have tasted the good word of God , and the powers of the world to come , If they shall fall away, to renew them again unto repentance; seeing they crucify to themselves the Son of God afresh, and put him to an open shame. This says it is impossible for these that have fallen away to renew them again unto repentance. They cannot be saved again which would be crucifying Jesus all over again. We also see here the difficulty in losing one’s salvation. These verses list five qualifications before it is even possible to fall away. This means illuminated with the Gospel of the Lord Jesus Christ. They first had to hear the Gospel of the Lord Jesus, which all who are saved have done. Jesus is the Heavenly Gift sent to earth by God to save men. One must have accepted the covenant and become born-again into the Body of Christ, i.e. one must be a Christian. So far all Christian’s qualify but it gets more difficult to qualify after this. One must have been filled with the Holy Ghost, not just born of the Holy Ghost. To be filled with the Holy Ghost, one has to have the evidence of speaking in other tongues. Everyone that is a Christian is born of the Holy Ghost but not all Christians are filled with the Holy Ghost. They must have revelation knowledge of God’s Word. Not just listen to a sermon on a Sunday morning but they must truly be knowledgeable in the Word. This means that they have operated in at least one the the nine gifts of the Spirit at some point: miracles, gifts of healings, special faith, word of knowledge, word of wisdom, discernment of spirits, prophecy, tongues (not just the initial evidence of being filled with the Holy Spirit but that which is given to the Church for interpretation), and the interpretation of tongues. So you see, some Christians do not qualify for committing this sin. But it gets even harder than that to qualify; God will hinder you from going too far as well. God will not lose any that abide in Him. If there is a loss, it is on our end; we would have had to walk away from God knowing fully what we were doing. God does not lose us but we can turn from Him by choice. However, let us look at other Scriptures proving His ability to keep us from falling. Joh 10:27 – 29 My sheep hear my voice, and I know them, and they follow me: And I give unto them eternal life; and they shall never perish, neither shall any man pluck them out of my hand. My Father, which gave them me, is greater than all; and no man is able to pluck them out of my Father’s hand. Notice that these verses are not saying that a man cannot choose to leave God. It is saying another man cannot pull a Christian out of God’s hands. One can walk away from God but no other man on earth can separate a Christian from Him. Faith is the thing that saved us, by grace, and faith is also the thing that sustains us. Faith is the most important thing we have because we cannot do anything for God or receive anything from God without it. But notice we are kept by God’s power, not our own. If it were only our own, then we are all without hope. God is strong enough to keep us from going too far away from Him. Jesus is able to present us faultless before the Father by His own blood. Glory to God! However, we still have free choice to walk away. 2Ti 4:18 And the Lord shall deliver me from every evil work, and will preserve me unto his heavenly kingdom: to whom be glory forever and ever. Amen. It is the Lord that preserves us. We cannot preserve ourselves. If left to ourselves alone, we would all turn and sin but God is great and merciful. Thank God for the Holy Spirit who keeps us from falling! 2Th 3:3 But the Lord is faithful, who shall establish you, and keep you from evil. It is the Lord that keeps us from evil. Our faith rests completely in His ability, not ours. The Devil and all the minions of Hell combined do not even have the power to wrestle a gnat’s wings from God’s hand. The devil is powerless against God’s might. God is almighty! 1Co 5:1, 4, 5 It is reported commonly that there is fornication among you, and such fornication as is not so much as named among the Gentiles, that one should have his father’s wife. -In the name of our Lord Jesus Christ, when ye are gathered together, and my spirit, with the power of our Lord Jesus Christ, To deliver such a one unto Satan for the destruction of the flesh , that the spirit may be saved in the day of the Lord Jesus. 1Jo 5:17 All unrighteousness is sin: and there is a sin not unto death. This verse proves it is possible to sin but it not be unto death (spiritual death). Sinning is not God’s will for our lives and we do not have a license to do so even though the Lord keeps us. However, we can be assured that there is no sin which can separate us from God for Jesus died for all sins except the one He cannot die for: abandonment of The Faith. People always ask, “what is the unpardonable sin?”  The strange thing about that question is that the Bible does not come right out and say, “it is this”  or “it is that.”  However, we can deduce what it is by logic. If it were a specific sin like murder or adultery, then the blood of Jesus was not enough to cover that sin. But we know that the blood of Jesus cleanses from all types of sin and it does not matter how many times one commits the sin. Jesus’ blood was sufficient to save the world from every type of sin possible regardless of the frequency. If it were just a specific sin, then God would allow Satan to destroy the body so that the spirit would be saved. The same way we get into The Faith is the same way we get out…by making a choice. However, remember that one must meet all five of the qualifications in Hebrews 6. In other words, to abandon The Faith we have to truly know what The Faith is. One would have needed to hear the Gospel, accept it, be filled with the Holy Ghost, receive the revelations of God’s Word, and operate in the gifts of the Spirit. The example we have is Satan himself. He was in the presence of God all the time. He knew the deep things of God and walked in the power of God yet he still chose to abandon his faith. It was not a specific sin that got him kicked out of Heaven as much as it was a choice in his heart to turn his back on God. One who abandons The Faith completely rejects God and all that He is. His love eventually turns into apathy then to hatred toward God, Jesus, the Holy Spirit and all the things of God. The interesting thing is that many of these people may even carry on like they are spiritual and godly before the eyes of men. People that are fearful of whether or not they have committed the “unpardonable sin”  need never worry because they have not. By the very fact that they are worried about it proves that they have not. Someone that has abandoned The Faith would not care. They would not care about God or Heaven or even the fact that they are going to Hell. Their heart would turn completely cold and their conscience would no longer work when they do wrong. They would likely be vessels filled with hatred just like Satan himself. 2Pe 2:21 For it had been better for them not to have known the way of righteousness, than, after they have known it, to turn from the holy commandment delivered unto them. The above Scriptures prove that it must be possible to fall away from The Faith. Notice that in every one of these Scriptures man has a choice to fall. God did not make them fall. No, man falls by their own choice. Most importantly, notice that these verses are talking to or about Christians. Who are the ones that the Father gives to Jesus? The chosen ones; those that accept the Gospel and become born-again. Now, if “Perseverance of the Saints” were true, then the phrase “him that cometh to me I will in no wise cast out” would mean no one can become “un-saved.” However, since it is not true, this means that Jesus does not cast people out that come to Him. However, they can leave by their own choice. This verse is assuring to every believer that no matter what you do, He is merciful and will forgive you. The only way to get out is to walk away by choice. I don’t know about you but I do not want to get out. Hallelujah! What Assurance! It would seem impossible for any Calvinist to have assurance of salvation since they have no way of telling whether they are one of the lucky ones that God chose ahead of time. Regardless of their actions, since God did it all, they are going to Heaven or Hell. So, potentially, according to their doctrine, an entire Reformed congregation could be sentenced to Hell and they would not even know it until it was too late. I am sorry but my God does not appoint certain people to Hell just because. What would be the point of this whole earth experience? God could create a human then send them to Hell immediately. That is pretty much what Calvinism is saying. This time on earth is just a temporary and extremely brief (compared to eternity) stop on the way to Hell. Would you give birth to your baby then almost immediately throw them into a burning furnace? No, of course not but that is essentially what Calvinism believes, only multiply that by the billions. The God of Calvinism would be considered evil by anyone’s standards if they understood the consequences of this doctrine. The truth is that this time on earth is a time of testing to see whether we will have faith and choose God or choose the way of sin and death. Our choices determine our fate; it is not determined beforehand by God. How can you know you are going to Heaven? By believing in the Lord Jesus Christ. By believing He is the Son of God that rose from the dead on the third day and believing He is the Lord and honoring Him as such by becoming His disciple. Do you consider Jesus to be nothing but a normal man, no one special? Do you consider the blood of Jesus of no value? Do you despise the Holy Spirit of God? Of course you do not (Heb 10:29). Be assured that you are still a believer. God loves you and has accepted you to be in His Kingdom forever. If you have sinned, no matter how bad or how often, God has forgiven you via the cross when you repent. He knows what you have been through and has provided a way out of every sin you could commit and that Way is Jesus – for God so loved you (John 3:16). John 6:37 -him that cometh to me I will in no wise cast out.